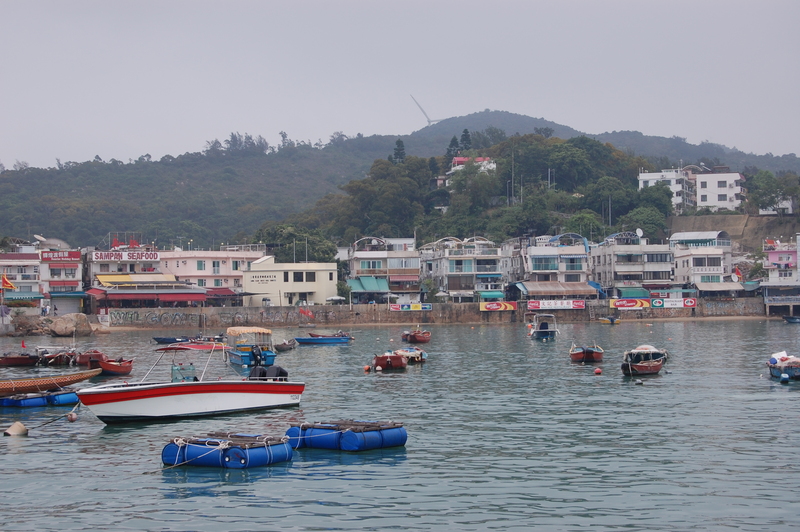 On monday we took the ferry to Lamma, an island off Hong Kong island. Sadly the weather was poor. Cloudy with very little sunshine, but still a warm 27c. It was a far shorter journey than I was expecting about 20 mins which as the sea was quite choppy, that was long enough! 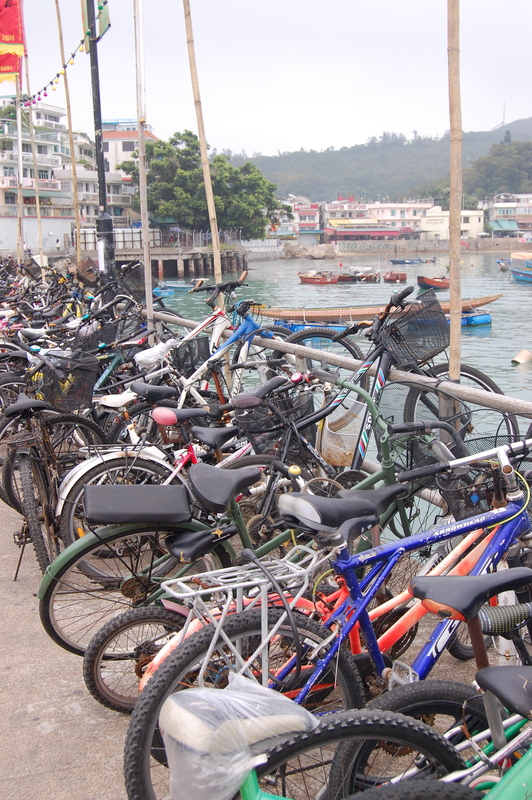 Lamma island is where many ex pats live. The island has no cars and the only mode of transport is bicycles. Many of which were parked up by the terminal ready for their owners arriving back later. As it was nearing lunch we went off in search of somewhere to eat. 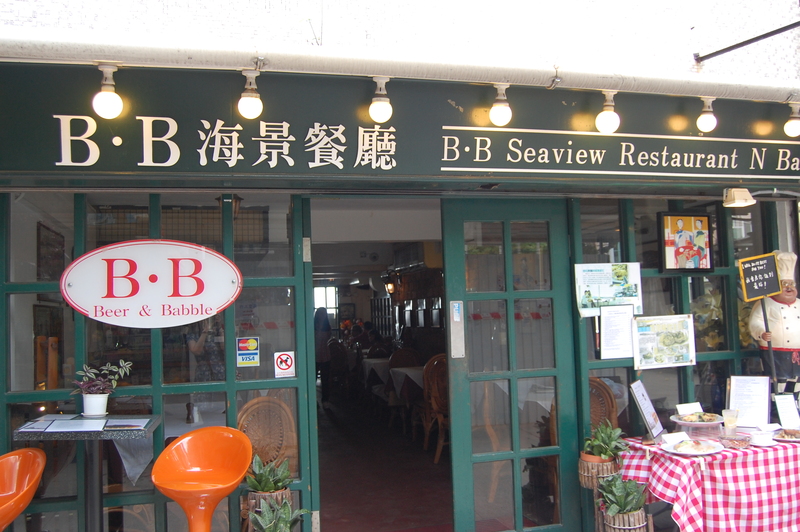 Now Lamma island is famous for its seafood restaurants all along the road from the ferry terminal. We decided on a small, clean looking restaurant called Beer and Babble seafood restaurant. The waiters were very friendly and spoke very good english. As always I had my trusty food intolerance translation sheet with me. Now looking slightly worse for wear! Sticky tape holding it together from an incident a few days ago. The waiter read it carefully and took it off to show the chef. 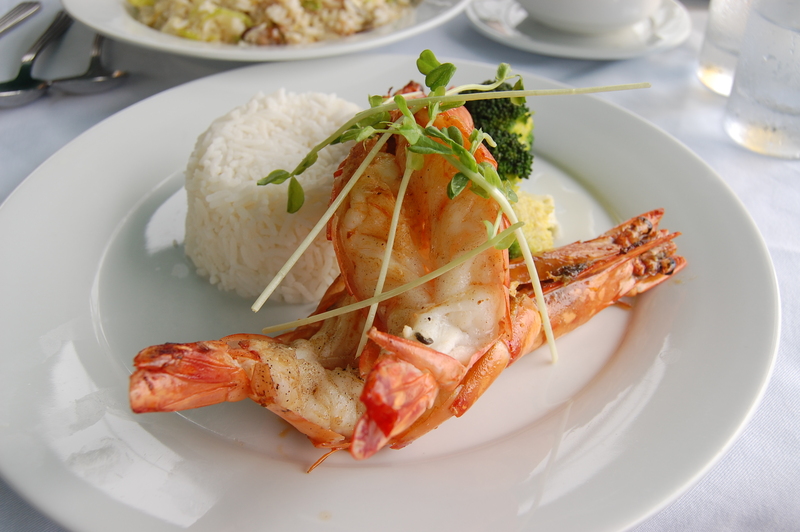 I decided on grilled king prawns with plain boiled rice and broccoli. A safe sensible choice, could of done with some lemon or something to cheer it up but at least I knew it was Free from. After lunch we had a little look around the shops, only a few and not very exciting. 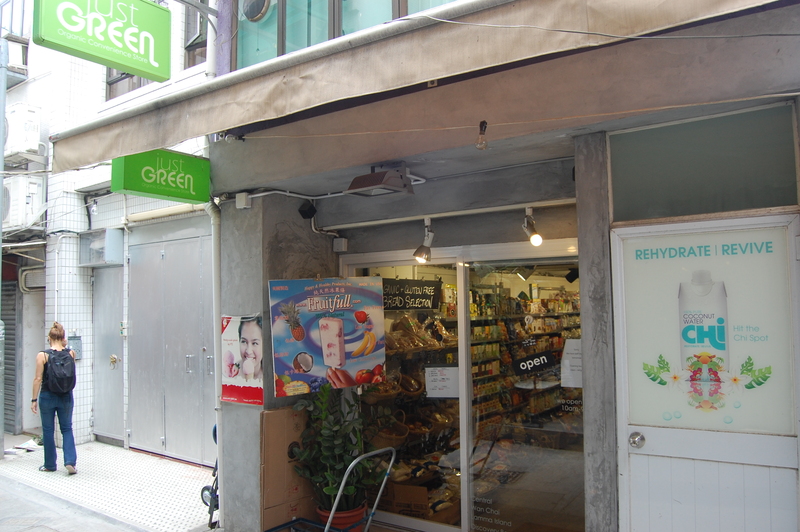 Until we came to, Just Green a health food food with a good selection of gluten free and free from goodies. Now if only I could have found this shop a week ago! Anyway it was good to check it out and it will be useful for future visits to my Brother in law and his wife on Hong Kong island. 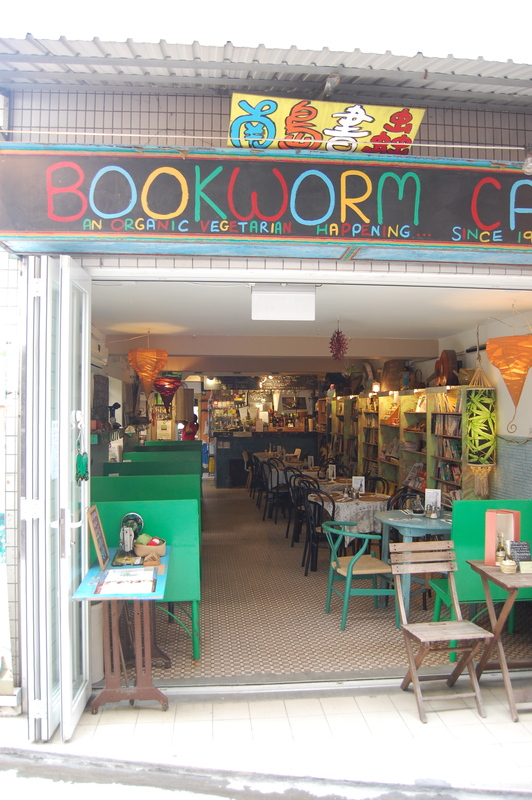 A few doors away was an intriguing cafe, very quirky. I loved the look of it. 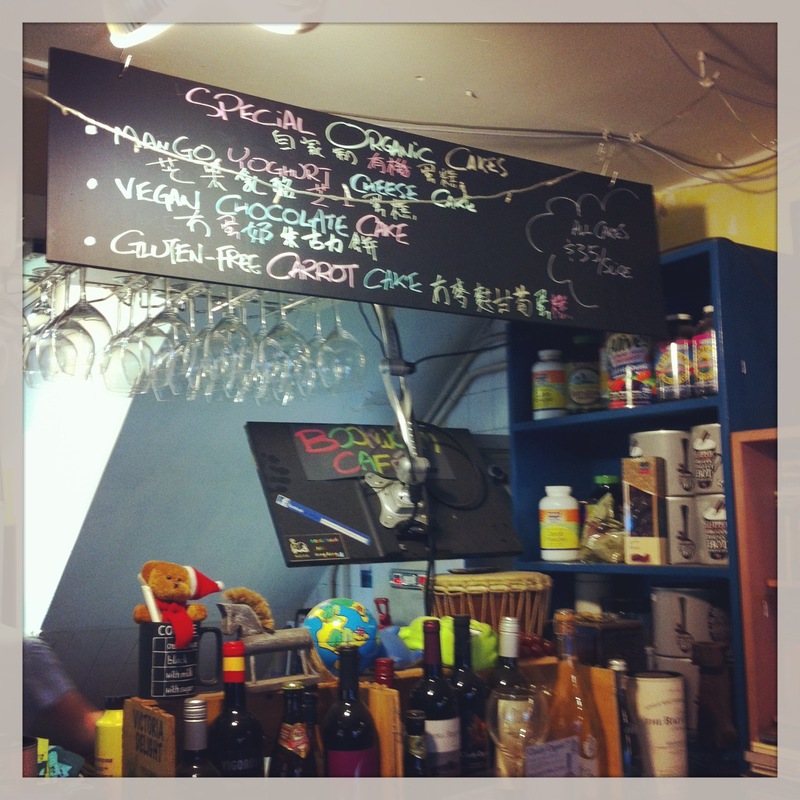 Bookends cafe was a vegetarian cafe which had some gluten free and free from options so I had to try it out! 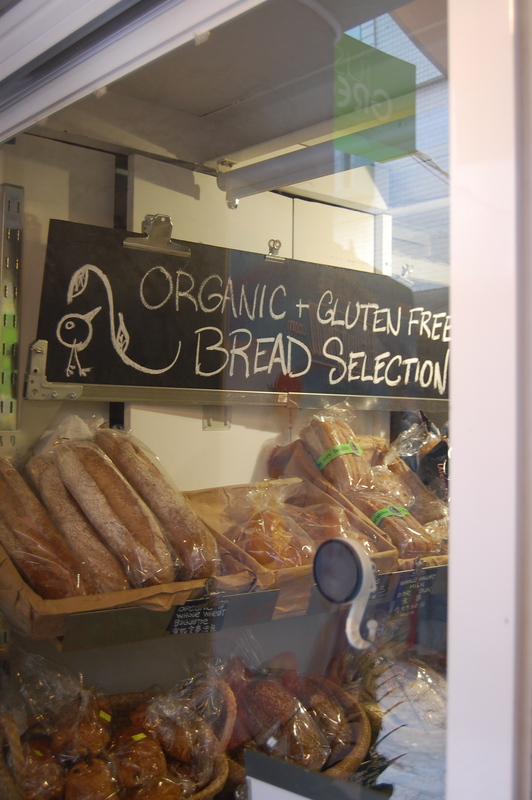 The blackboard had an array of gluten free, free from cakes written on it . I decided on an english breakfast tea and a slice of their gluten free carrot cake. Sadly they had sold out, so had to make do with some gluten free biscuits I had hidden away in my handbag for such occasions. 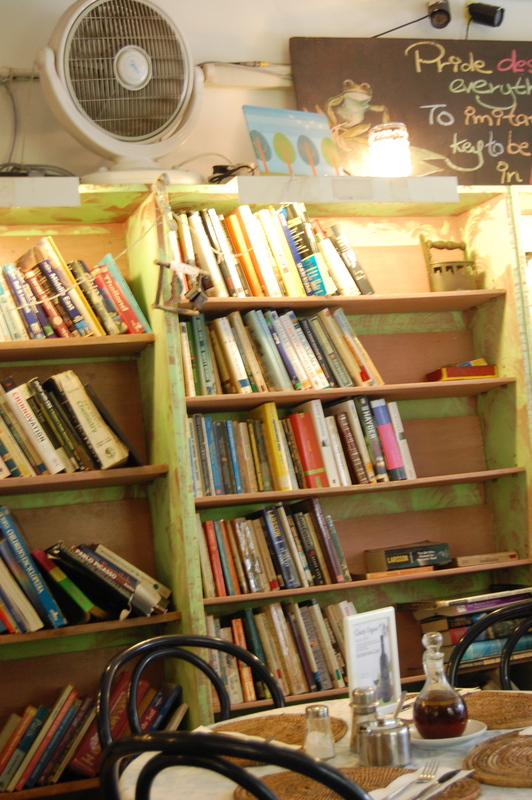 The cafe had a lovely atmosphere and I can see why it is mentioned in the guide books. It was soon time to head back to the ferry terminal, I’m so glad we made the trip over. Otherwise we would have never discovered the free from treasures Lamma had to offer.